The Kobika Restaurant is the absolute dedication of the Kortabitarte family, passed down from parents to children and fully dedicated to food service in general and Basque cuisine in particular. It all began in 1968 at the emblematic Hotel San Blas in Abadiño (Bizkaia), ran at the time by Koldo, Iñigo and Agurtzane’s father and where his four children grew up, both personally and professionally until 1999. This is exactly the year in which the Kobika Restaurant was born in Durango (Bizkaia). With the experience acquired during all those years, the Kobika devoted all efforts and knowledge to develop a signature cuisine prioritising local products. We are characterized by the originality and freshness of our creations, without turning our back to the most traditional cuisine. A cosy, sober and modern place, located in the most modern area of Durango, where Agurtzane manages a small team of professional and enthusiastic people who always work bearing customer satisfaction in mind. The Kortabitarte brothers go for contemporary cuisine from a traditional approach. Provided with the rich products of our land and supporting small producers. A recipe book which highlights their miniatures, awarded in numerous culinary competitions. A modern restaurant, with cutting-edge technology, which can be divided into small intimate spaces without losing comfort. 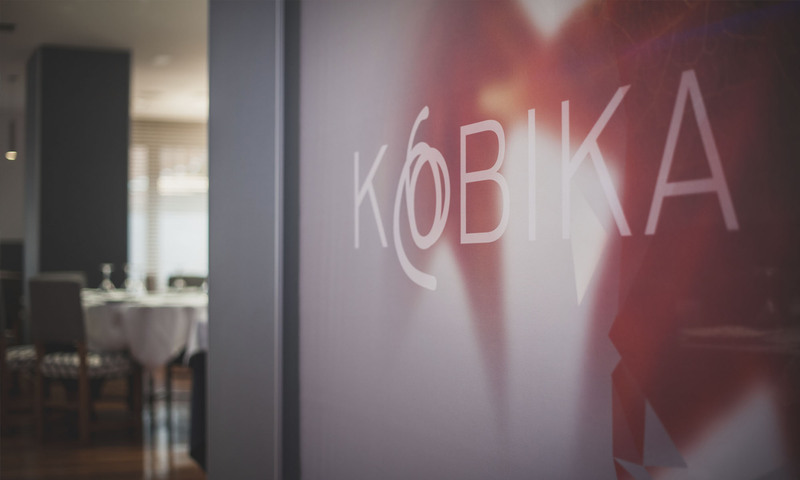 Making the Kobika Restaurant the perfect place for companies to hold meetings in a discreet manner. 3rd in Bizkaia 2015 for SEAFOOD PAELLA. 2nd in Bizkaia 2012 for NON-SCRAMBLED EGGS WITH COD ON MUSHROOM DRIZZLE. 3rd in Bizkaia 2010 for BLACK PUDDING MUSHROOM. Basque Country-Navarre Championship 2016, third place. Basque Country-Navarre Championship 2012 Eusko Label Award, ISLAND’S EGG. Winners in the MINIATURE PINTXOS CONGRESS 2016. 5 finals in the National Championship of Valladolid 2015/2013/2012/2011/2010. Winners of the Amstel Oro Award 2016 for the BEST PINCHO MARINATED IN BEER. Finalists in the Spanish Championship 2016.